This entry was posted on June 28, 2017 by Nick. We're always on the lookout for delicious new items from around the world to include in our luxury gift hampers. Tim Tams are a delicious chocolate biscuit, created by Arnott’s in Australia. Although they’ve always been popular down under, they are growing in popularity around the world. Created in 1958, Tim Tams were named by creator Ross Arnott after the winning horse at the Kentucky Derby. They went onto the market in 1964 but didn’t reach international customers until 2008 when they were exported to the United States. Although now shipped globally, Tim Tams are still made in Australia at bakeries in Sydney, Adelaide and Brisbane. If you’ve never had the pleasure of trying one of these delicious treats, then we can help! We added Tim Tams to our range of luxury gift hampers as they are a delicious treat that are perfect for any occasion! We love many treats and goodies that originate in Australia. 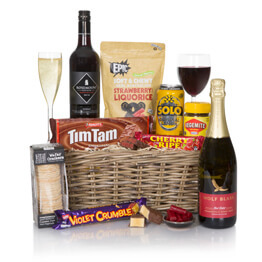 Just one of our fantastic Australian themed hampers, this gift is perfect for an Aussie native that might be missing the tastes and smells of home. Packed with delicious treats, including Original Tim Tams, Anzac biscuits and Bundaberg sparkling drinks. 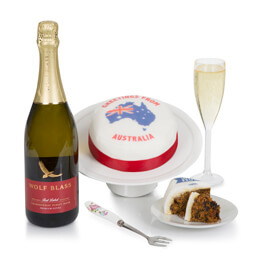 Featuring a number of premium Australian brands, they’ll love the Australian Indulgence! In this hamper Tim Tams are paired with Tazmania’s finest beer, James Boag’s Premium. Also featured in this gift are Australian macadamia nuts and Byron Bay crispbreads, two delicious treats that partner the beer perfectly! 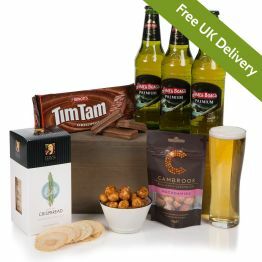 Whatever the occasion, treat them with the Australian Beer Hamper! 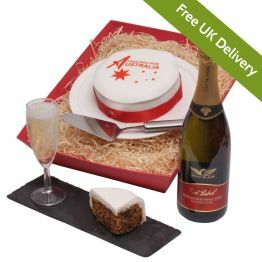 Our Australian themed hampers are not just for Aussies! These fantastic treats should be tried by all and there’s no better place to find them than at Hamper.com. 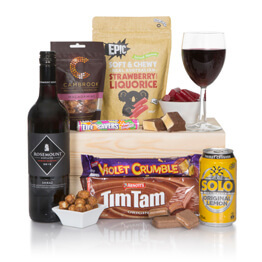 This gift features Tim Tams, cookies, liquorice and Anzac biscuits, all perfectly accompanied by a bottle of fruity red Lindeman’s Shiraz Cabernet! 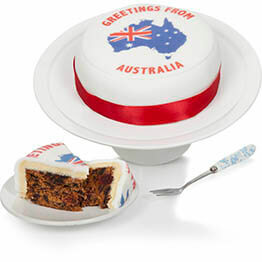 Discover the fantastic range of gifts in the Advance Australia Fair! 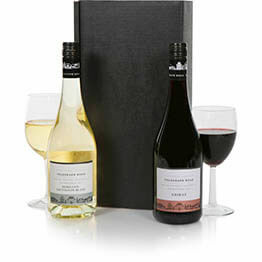 Look no further than Hamper.com for Australian themed gifts, suitable for any special occasion or just as a treat. Discover our comprehensive collection of gifts today, packed with the finest food and drinks from the best suppliers. 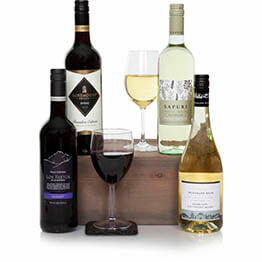 Discover many more Aussie themed gifts in our collection of Australian themed hampers. UK based customers will receive free UK next day delivery and Hamper.com also offers a worldwide delivery service.